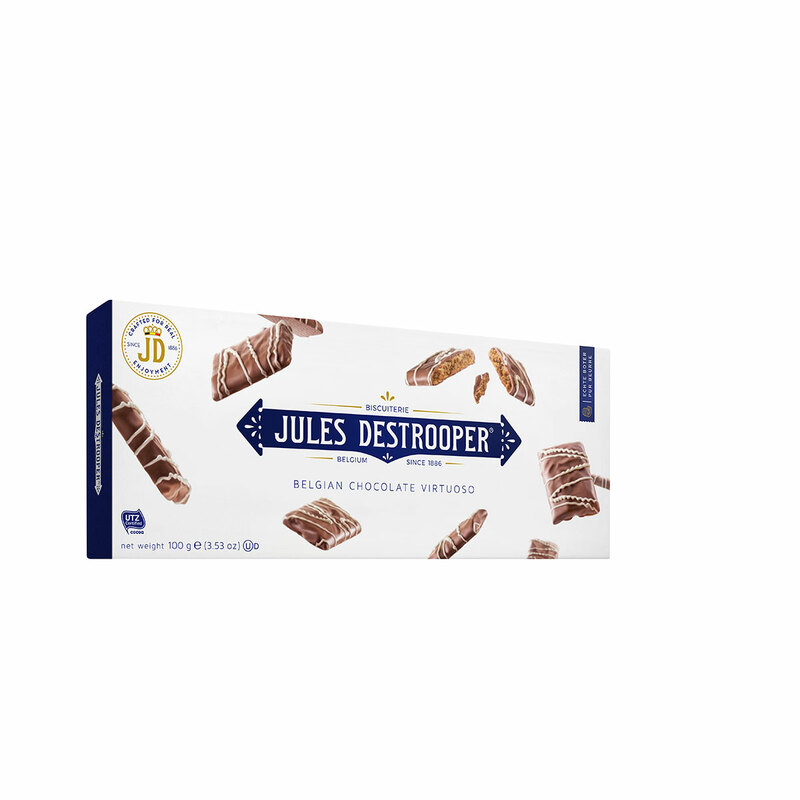 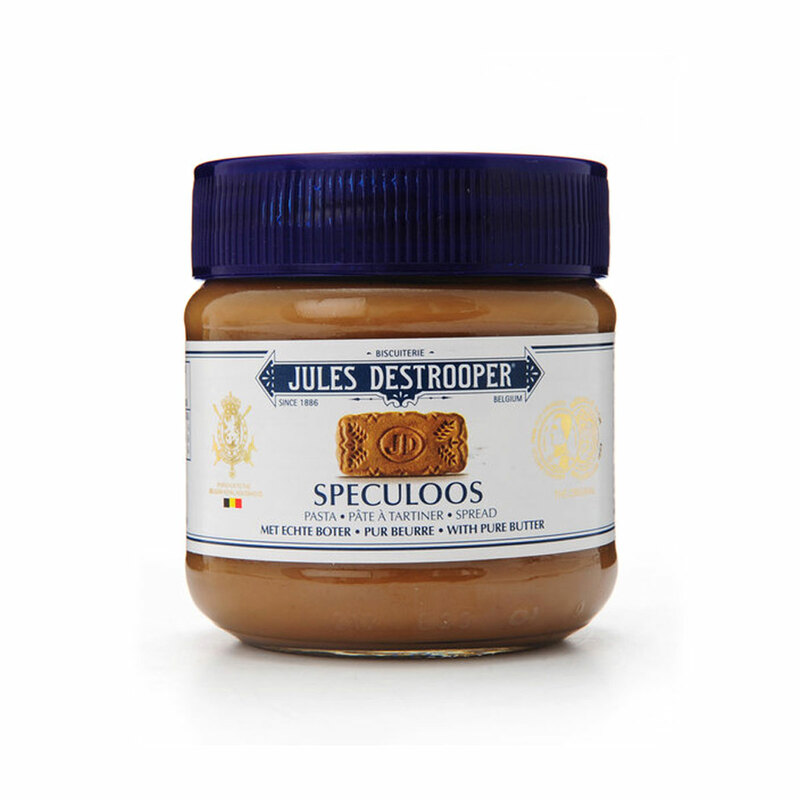 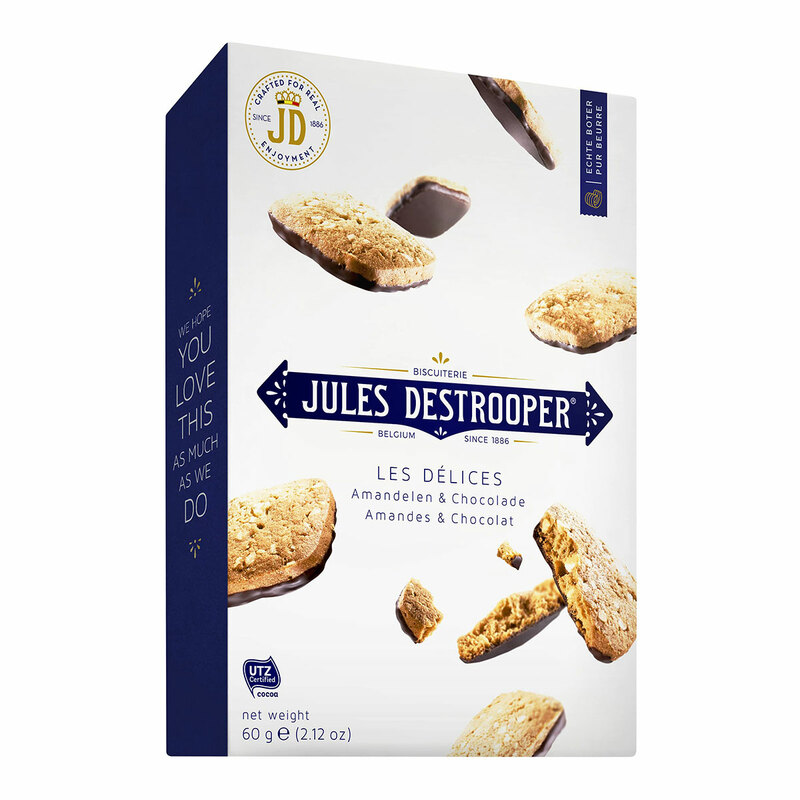 Everyone loves irresistibly crisp Jules Destrooper biscuits from Belgium! 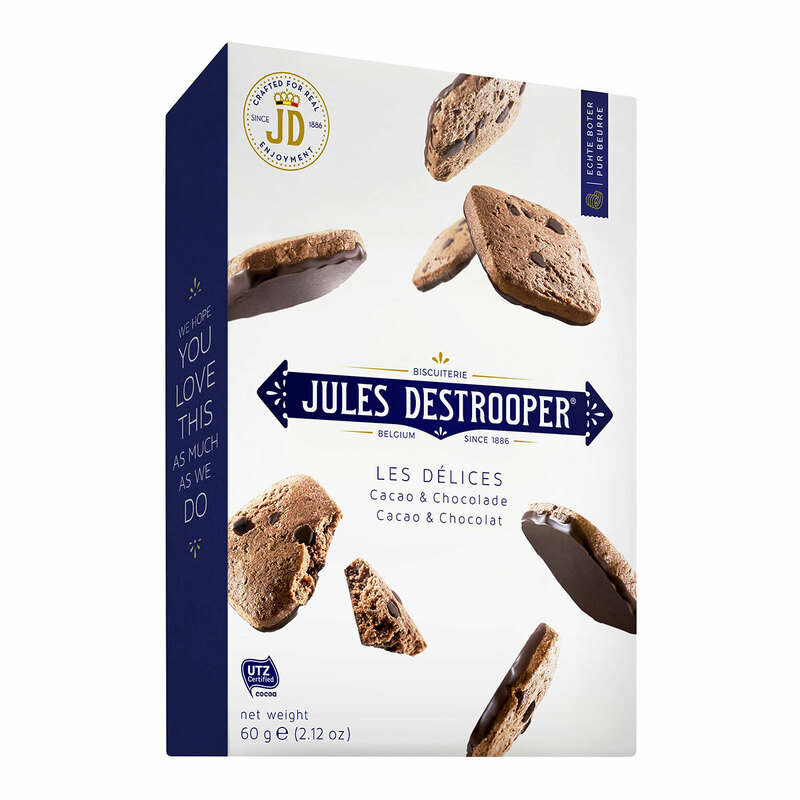 This delightful Jules Destrooper gift set is an ideal gift idea for anyone who enjoys gourmet European cookies. A stylish printed gift box is filled with a generous assortment of Jules Destrooper favorites. 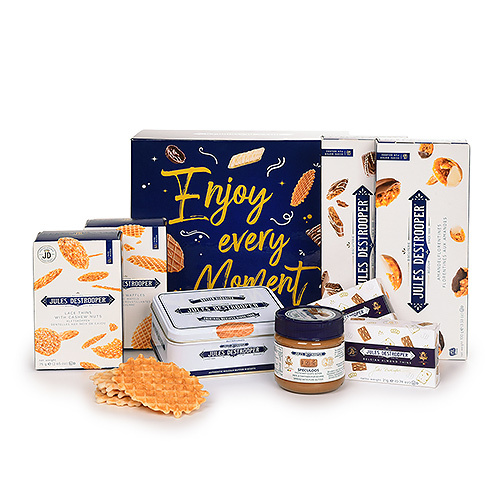 Enjoy classic Butter Crisps and Butter Waffles, delectable Almond Thins, scrumptious Almond Florentines, and addictive Caramelized Biscuit Spread. 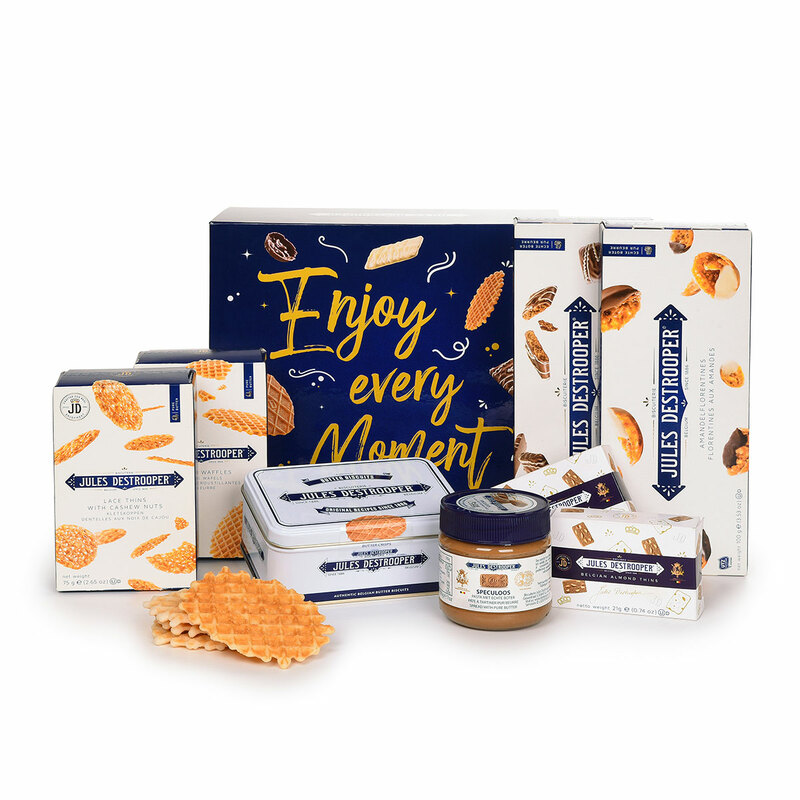 Chocolate lovers will fall for the Almond or Cocoa Biscuits. 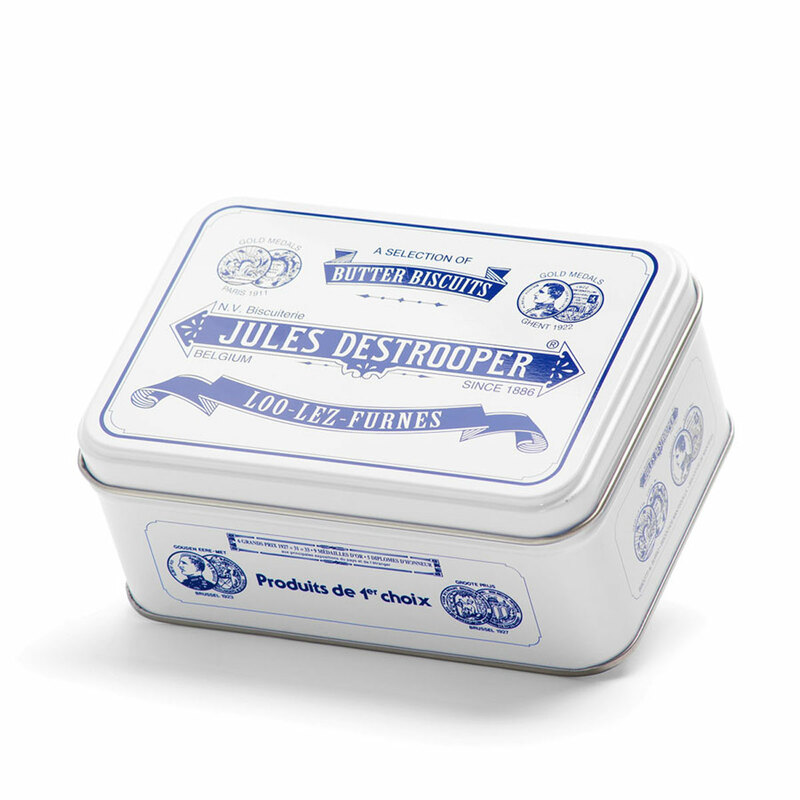 A mini tin box with Butter Crisps completes the delicious Jules Destrooper biscuit gift box. 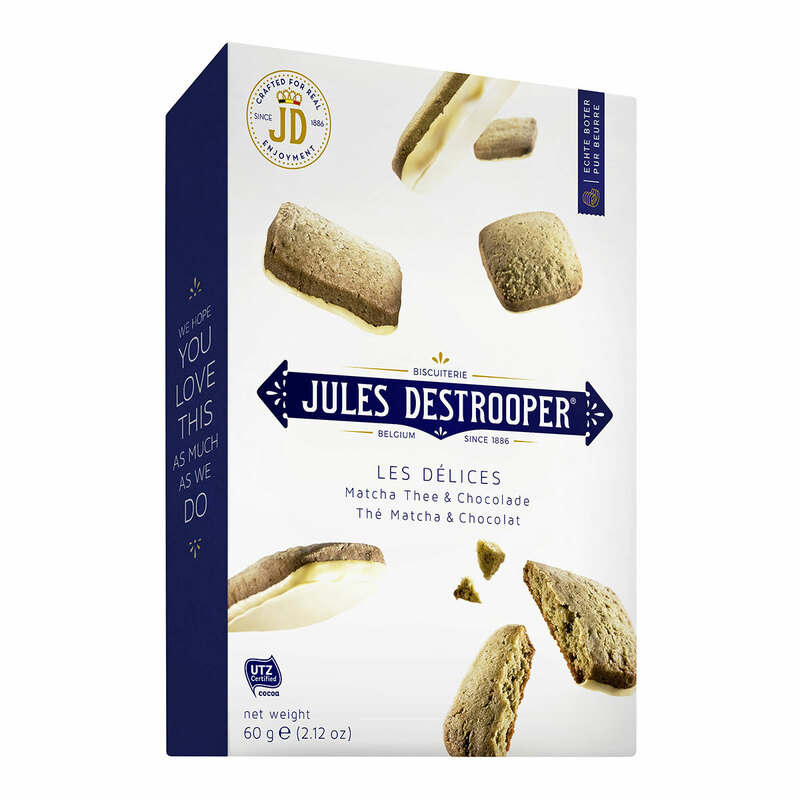 Ingredients: Speculaas (57%)(wheat flour, brown sugar, butter (milk)(17%), eggs, sugar syrup, sea salt, raising agent: sodium carbonates, cinnamon), vegetable oil (rapeseed, palm), sugar, emulsifier (rapeseed lecithin), acidity regulator (citric acid). 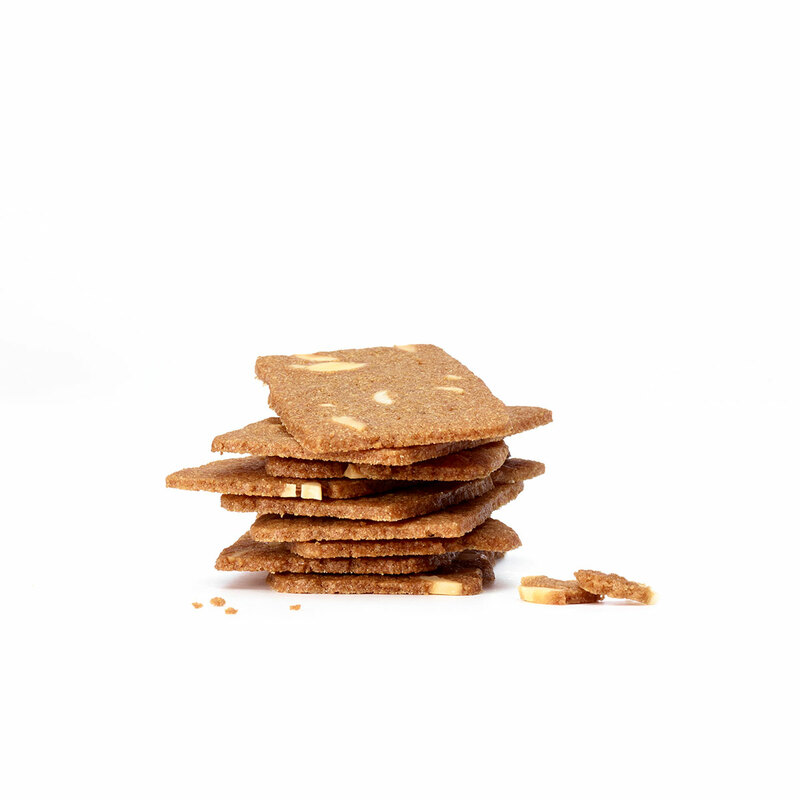 Allergy Advice: May contain traces of soy, nuts and sesame.